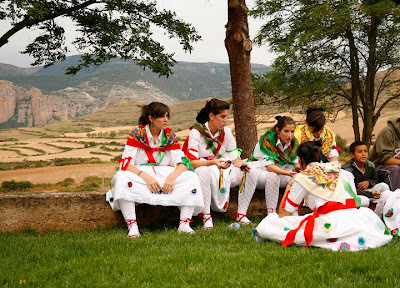 Local festivities concentrate in the months of May, August and September. 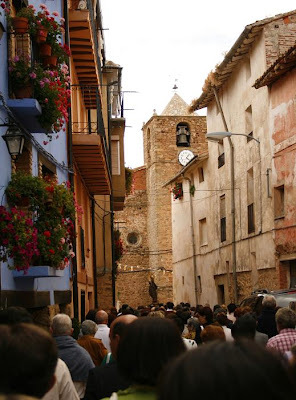 With the ocasion of The Virgin of August (15th), Sorzano celebrates a procession to the local hermit. 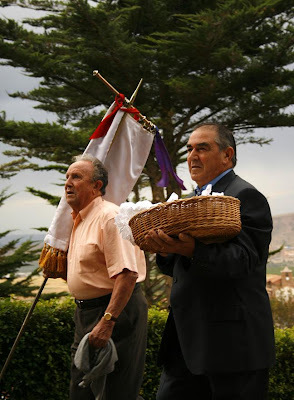 It is a ritual called "subir al bollo", which could be translated as "climb the hill and get the bread roll"...indeed. 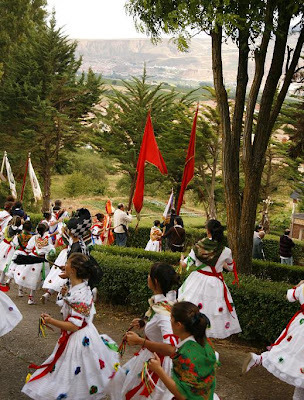 Step 1- The dancers and the walkers parade up the path to the hermit. Along with them goes the trickster, dressed in a colourful striped suit. It is a figure of pagan origin. Step 2-Mass is celebrated. Which does not mean that it is attended. 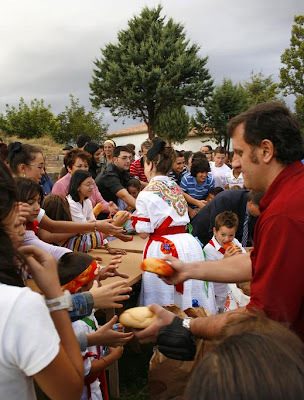 Step 3-Bread rolls stuffed with chorizo are distributed to the people. Step 4- Dancers lead the parade down the hill. Step 6- ...and Virgin Mary goes down the hill. 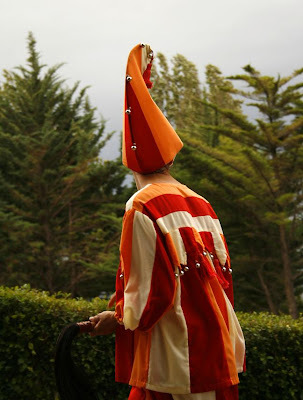 In the village, the parade ends at the main church. Step 7- And the dancers take a rest before the paella. 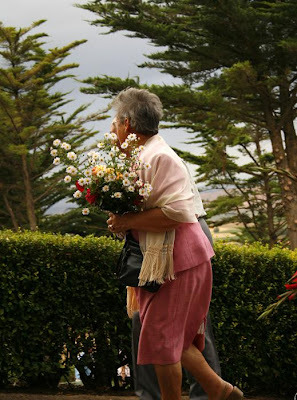 qué bonito!!! 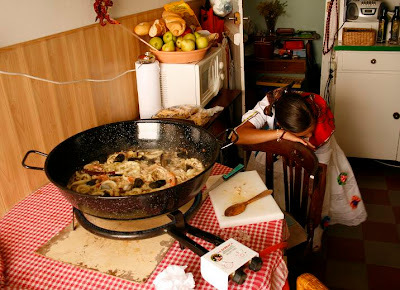 sobre todo si termina con una paella!